Belinda Lee shows maggots in the bun she bought from Bakers Delight. A WOMAN has been left mortified after she unwittingly served up maggot-infested Bakers Delight bread to a friend. 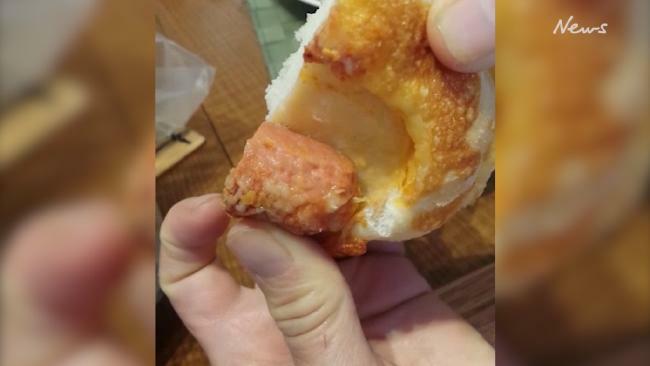 Belinda Lee said she bought the sausage buns from a Bakers Delight store on December 8 and put them in the fridge until the next day, when she and her houseguest made the gross discovery - after he had already eaten one. Video taken by the disgusted pair shows maggots wriggling in and out of the sausage. Mrs Lee returned the contaminated buns to the store and said the manager later called her to apologise, but said the bakery chain's head office only offered her two $20 vouchers by way of compensation, and to make matters worse both vouchers were close to expiry. Mrs Lee said she had been a customer of the store for years, and had always enjoyed their sausage buns, but now she could no longer stomach the thought of them. "I've been going there for years," Mrs Lee said. "But (it's) still in my mind. I can't forget, I can't erase this," Mrs Lee said. "And my poor visitor. Every time I buy something now, he says, 'oh, are there maggots in it?'. I returned the vouchers. I said these vouchers (are) a bit of an insult." 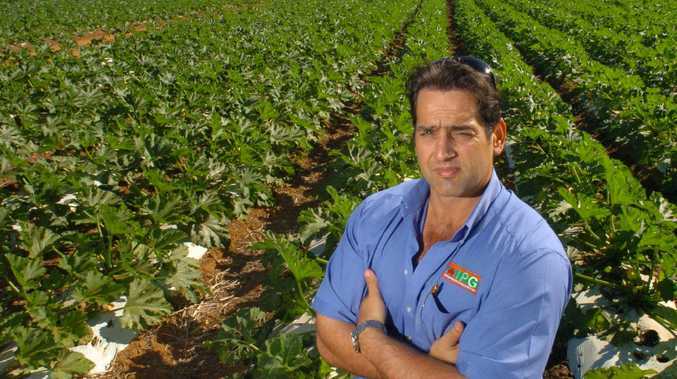 Bakers Delight says it is fully committed to food safety. 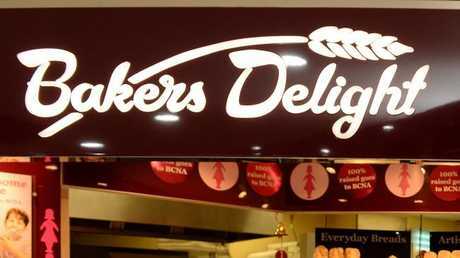 An email to Mrs Lee from Bakers Delight corporate communications manager Scott Darkin, seen by the Leader, apologised and said the matter would be escalated to the bakery chain's chief executive. "I can assure you that we do take these matters very seriously and your experience is certainly not consistent with the high standards of product and service we pride ourselves in," Mr Darkin said. "I have taken the liberty of raising the matter directly with one of our CEOs, Elise Gillespie." Mr Darkin also offered new vouchers with an extended expiry date: "I do feel that it is appropriate that we provide you with an opportunity to enjoy some other Bakers Delight products at no charge." In her letter, Mrs Lee told the chain it was lucky her friend hadn't got sick. "It was fortunate for Bakers Delight that he did not land up in hospital with severe food poisoning or severe stomach cramps as a result," she said. "The whole incident has left a bad taste in my mouth." In a February 12 statement, Bakers Delight told the Leader such hygiene breaches were rare. "Bakers Delight Holdings is fully committed to food safety, which is why all bakeries are required to implement and maintain the Bakers Delight Food Safety and Pest Control Programs," the statement said. "Monthly reviews are completed as part of this program by licensed technicians who work closely with our bakeries to ensure issues are identified and actions implemented to reduce pest activity. "The bakery's most recent quality and pest control reports show no indication of abnormal pest activity within the bakery." "The bakery was visited by the local council following the incident and found the franchisee to be in full compliance with the relevant food safety regulations." "In this particular case, due to the short life cycle of moths and flies, our investigation was unable to determine if this contamination occurred at the bakery level, or once the product left the bakery." Council health inspectors have been contacted for comment.